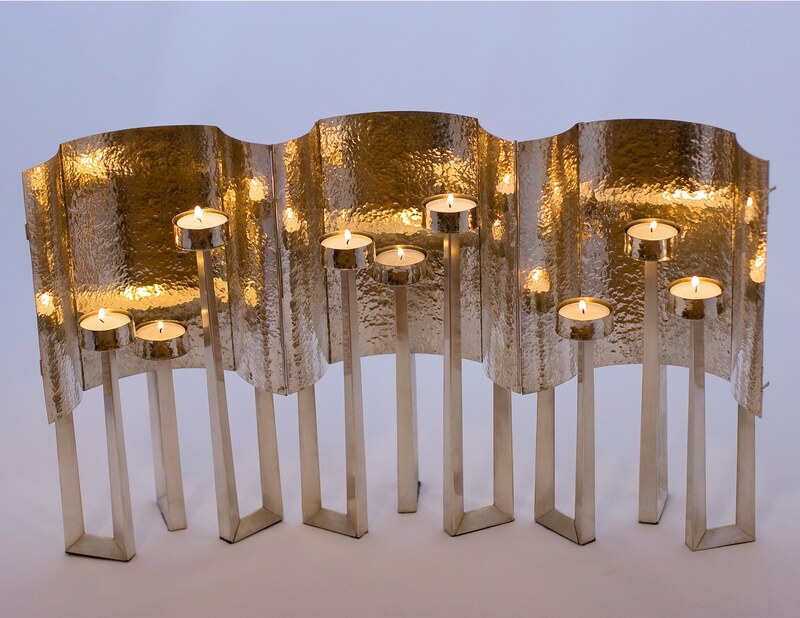 This 9-branched Shabbat candelabra was commissioned to celebrate a wedding anniversary. Each Friday night, the silver form unfolds, and a candle is lit for each member of this family of 9. The curved reflectors disperse light into the room, creating an undulating wall of flickering flames. 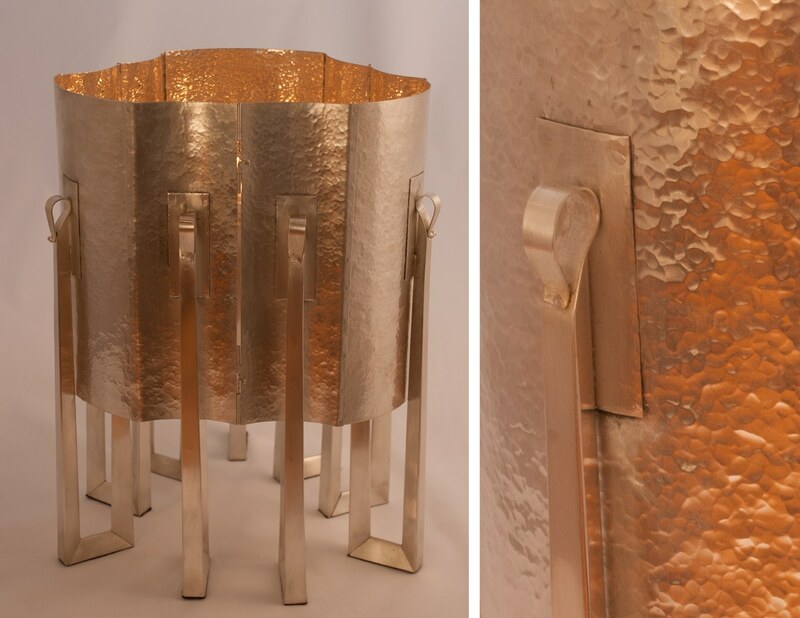 During the week, three hinged sections fold in on themselves, and are locked in place with a silver catch, displaying the buffed silver exterior. Original designs made to order.